Paycor understands the unique challenges faced by Catholic Dioceses and gives you more time to focus on your mission. Freeing you up to serve your community. Through Paycor’s Diocesan Partners program, you and your parishes will always have a single contact to answer your questions. More than that, we are well versed in the tax compliance, labor management and HR challenges that you face every day. Our team of expert advisors are committed to helping you and your parishes fulfill your mission. Stay compliant with the latest regulatory changes. As tax and labor regulations continue to change, trust Paycor’s HR and payroll technology to help mitigate your risk of non-compliance. We offer solutions for the ACA, DOL overtime regulations and HR to help keep your diocese compliant. Effectively leverage resources to support your mission. Watch the videos below to learn more about Paycor’s solutions. Paycor helps Diocesans streamline their operations to grow their organizations. 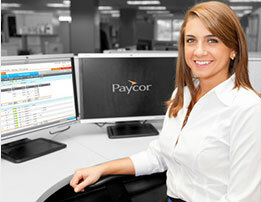 Paycor offers a sales and support team dedicated to Diocesans who understand your business needs.